Icon Series: Icons are people who inspire us in our study, work and lives. In our Icon Series we chat to our students to see who it is that is catching their eye and informing their work. Here, Jess Devenish, photographer and Open Colleges’ Certificate IV in Design student, tells us about her photography icon, Kirsty Mitchell. We follow artists for strength, for inspiration and to fulfill our thirst for knowledge in our fields. Photography is no exception, and we have been blessed with so many creative and extraordinary artists to follow. As for me, I am one who has fallen in love with the fashion and editorial side of photography. Pursuing my passion, I began to follow artists such as Lara Jade and Emily Soto. Amanda Diaz also became one of the artists I admired. Her editorial styling, editing and overall images were just amazing and it was very much the style I was interested in. 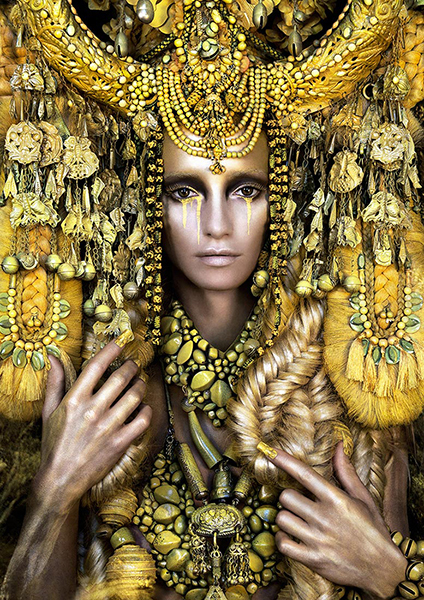 One true icon in the photography world, however, is Kirsty Mitchell. She is the creator of one of the most beautiful and amazing photo series that I have ever seen. Titled Wonderland, the series showcases how one photographer’s astonishing creations have helped her come to terms with bereavement. If you are a lover of fantasy, surreal, conceptual and creative work then this women is a true icon to follow. Kirsty Mitchell was born in 1976 in the English county of Kent. Growing up, art became Kirsty’s sole passion. She studied the history of art, photography and fine art and then went on to train in fashion design. During this time Kirsty completed two internships at the design studios of Alexander McQueen and Hussein Chalayan. Kirsty worked full time as a senior designer for a global fashion brand until she resigned and photography became her new purpose. Tragically, in March of 2008 Kirsty’s mother, Maureen, was diagnosed with a brain tumour. With Kirsty feeling like her world was falling apart, photography became the only escape when her heartache was too much to bear. 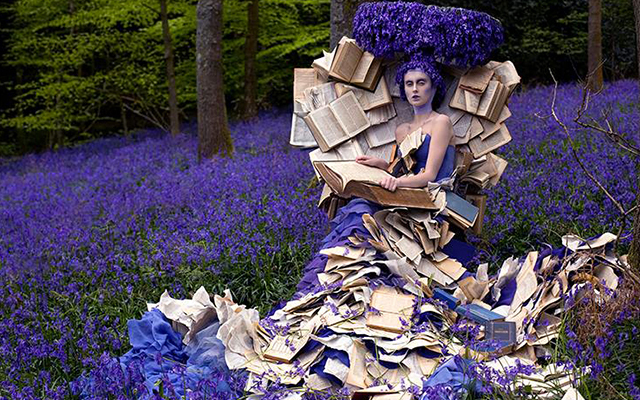 Kirsty Mitchell’s mother was an English teacher who spent her life inspiring generations of children with imaginative stories and plays. Following Maureen’s death, Kirsty channelled her grief into her passion for photography and created Wonderland in honour of her mother. The photographic series began as a small summer project but grew into an inspirational creative journey. “Real life became a difficult place to deal with and I found myself retreating further into an alternative existence through the portal of my camera,” Mitchell said. As I followed Kirsty Mitchell’s Wonderland series I learnt that some images took up to five months to create and that she would often wait an entire year to find the perfect natural setting for her shots. She became fascinated with pockets of wild flowers such as the bluebells that would appear for only a few brief weeks of the year. In some cases, she would wait a full 12 months to return to the area and photograph costumes matched to the vivid colours of nature. One of my favourite Wonderland images is Gaia, The Birth Of An End for the colour, the styling, overall style and editing. Also how this image was created is amazing and inspired me to do something like this one day. 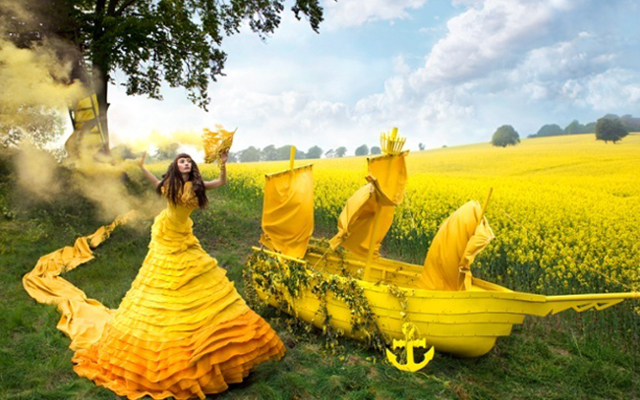 Learn more about Wonderland: Kirsty Mitchell has a whole blog dedicated to it: Kirsty Mitchell Photography. Kirsty’s works have been published throughout the world, in publications including Harper’s Bazaar, Vogue Italia, Stern and on the BBC News. She has won awards and accolades including the Grand Prize Winner of the Visual Storytelling, Fictional Narrative Award – Lens Culture 2014; Nikon UK Ambassador for Fine Art and an Honorable Mention at the International Photography Awards 2014. 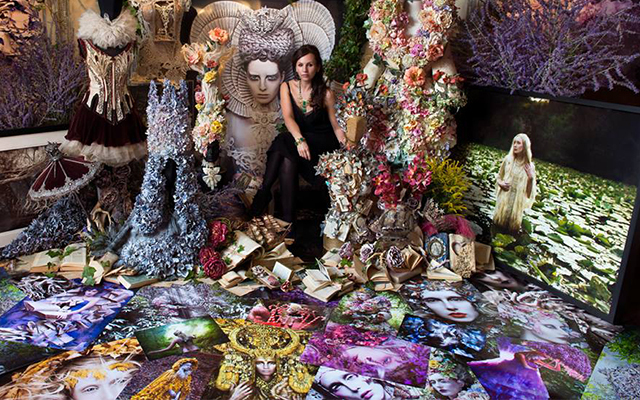 For her passion, patience, dedication, extreme talent in all creative fields, style and technique, Kirsty Mitchell is a true inspiration. I have seen images where the subject is only just coming out of the water. I find it a very strong composition and wanted to recreate it. This image is one of my favourites. It was such a fun shoot to do. 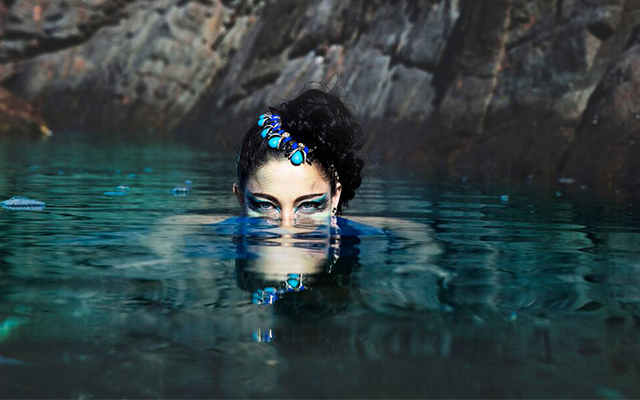 Both the model and I were submerged in the beautiful water to create it. Everyone was trying not to giggle that I was completely dressed and yet still up to my stomach in the water, even getting right down for this shot. I have always wanted to do a puppet-styled series. After I did a Cake Doll-inspired shoot it was decided with the same team to do a doll series. Our next idea was a puppet. The image was created in my dining room. I had an assistant stand on a chair with ribbons that were attached to a broom handle. In processing, I recreated another background to give a darker feel and added the hand and puppet string handle. This image was created with an amazing team. The dress was so beautiful. We went to the amazing sand dunes in Anna Bay, NSW – with the sand, the lovely blue sky and the beautifully styled model, it was perfect. 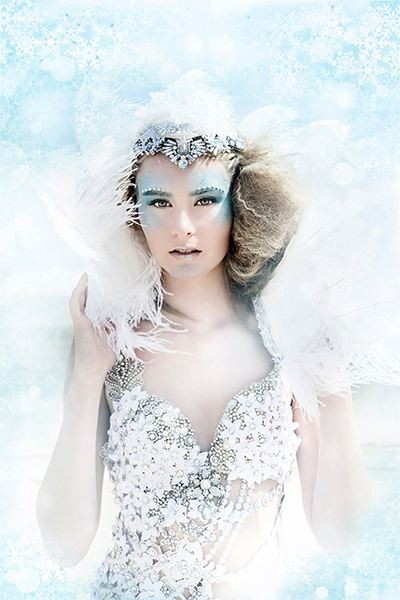 For this image I wanted to produce a different look to show the fantasy air element theme so I added a soft snow like overlay around the model. This shot was inspired by Amanda Diaz, her styling of models (big hair, big headpieces) and style of editing. To produce the final look of this image I played around with effects to make the background blurred but also to give a fantasy/storybook look. The colours of the image, including the model’s lips and headpiece were dulled, while the model’s skin was whitened. Check out Open Colleges’ range of flexible, affordable photography courses and turn your dream into a reality!